If you had dreams of standing up an Xbox One on its side to save valuable desk/shelf/table space, you may want to re-think the layout of your next-gen gaming shrine. 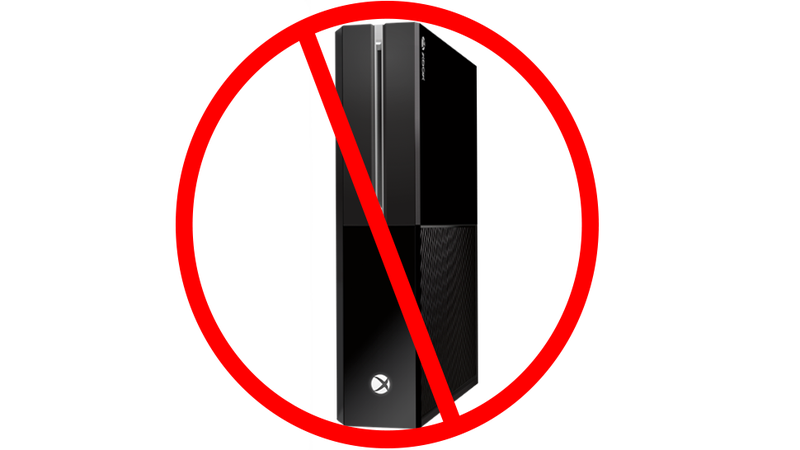 Microsoft says that the Xbox One isn’t designed to be used in a vertical orientation. "We don't support vertical orientation; do it at your own risk… it wouldn't be a cooling problem, we just didn't design the drive for vertical. Because it's a slot loading drive, we just didn't design it for both". The vertical-vs.-horizontal conundrum has been rumbling since the console was revealed this spring. But looking back at the various images and presentations of the Xbox One, it becomes glaringly apparent that the hardware’s never been shown in a vertical orientation. Now, Microsoft isn’t saying that the console won’t operate at all standing on its side but that it wasn’t made to be used that way. So, if you feel like gaming on the edge when the console comes out on November 22, turn that thing around. If it ends in tears, you were warned.